Three Long Beach Unified School District teachers were honored at a recent Board of Education meeting as Teachers of the Year. 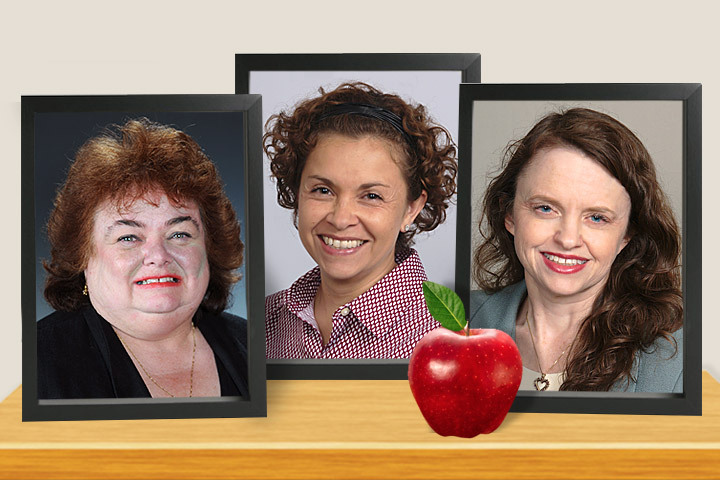 Irma Magaña teaches English at Lakewood High School; Debbie Holland teaches psychology at Poly High School; and Susan Watson teaches Japanese at Poly High School. Holland and Watson earned the L.A. County honor. All three were honored at a recent event hosted by the Los Angeles County Office of Educaiton for top teachers throughout the county. Magaña felt that her first years of teaching were “a struggle,” but worked to become an inspiring teacher who uses that perspective to encourage her students to achieve more than they thought possible. Holland returned to the classroom after 15 years as a school administrator. “My career has gone full circle over the last 35 years,” Holland said. “I have evidence through my current and former students that I have made a difference in their lives, and mine has been enriched by my time spent with them. Watson spent years studying to become fluent in Japanese, despite the words of one teacher who told her that would never happen. “As a teacher, looking back on it now, I am horrified that I was told this, as if it were the truth,” Watson said. “What would have happened had I listened to that professor? I never would have known that feeling of success when you can communicate with someone in a foreign language.